The Starline Attractions Pass combines the best attractions, tours and experiences into one pre-paid attractions pass to save you time and money. You choose what you want to do and when you want to do it, simply present your pass on arrival for cash-free entry – simple! Enjoy as many of the standard attractions as you like plus hop on, hop off travel over 1, 2 or 3 days. If you want to visit Warner Bros or Universal Studios Hollywood, make sure to select the 3 Day Pass. We understand that when you're traveling the last thing you want is to be locked into a travel package that doesn't allow you to do what you want, when you want. So we have developed packages that give you maximum flexibility and options to suit your interests and travel schedule. The best part? You can even change your plans or make decisions as you go, no fuss! 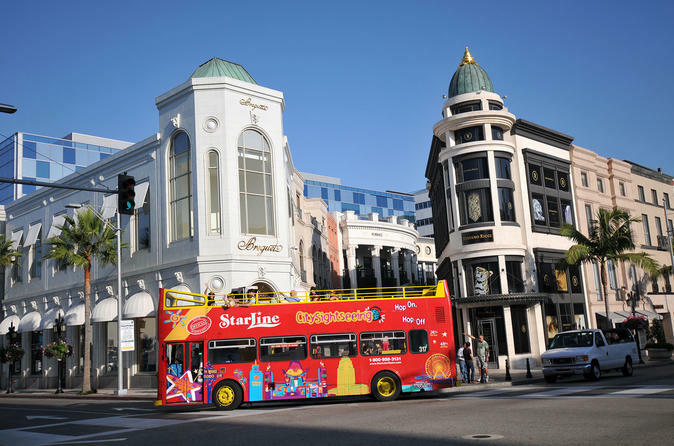 Whether you want to see it all or have limited time in L.A, you can select the package that suits you best! Whichever package you purchase, you’ll have loads of top rated attractions to choose from and enjoy great savings! Special Offer - Save up to 50% on attraction admissions by booking this pass with us! - Book Now!